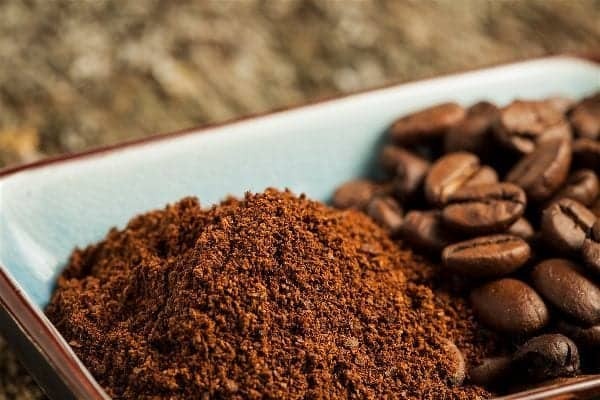 What is Fresh Ground Coffee? When is it Best to Grind the Beans? Why drink a cup of coffee if it’s not the best brew you can have? Coffee is not only supposed to keep you awake. Those rich aromas locked up in the beans are begging to come out and complement your meal or make a day a little more enjoyable. But you’ll only enjoy these benefits if your coffee preparation is up to standard and that starts at the very beginning. What are you using for your brew: fresh ground coffee or pre ground coffee? If you’re serious about coffee there’s no better option than fresh ground coffee. 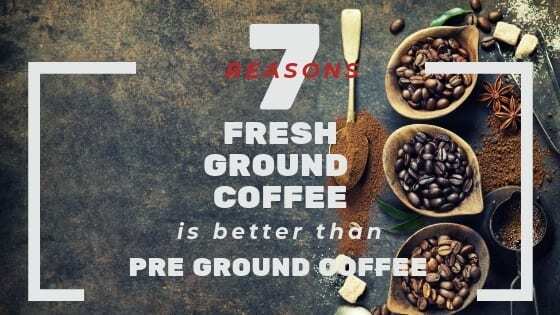 Here are 7 reasons why fresh ground coffee is far better than pre ground coffee. And now, do yourself a favor and read on so you know how to get it right from now on. You can use the grind you purchase in sealed sachets or you can opt to purchase beans instead. With the latter you can make your own fresh ground coffee by grinding them up. And I’m not talking about grinding large batches at a time. Because you don’t want grinds degrading (more about this below) you need to use the grind as soon as possible. Fresh ground coffee means you grind enough beans for your brew each time you make coffee. This is why measuring is so important in coffee making. And don’t think it’s just about grinding up beans with any grinder you can find. Here is a guide on the burr coffee grinders which are among the most popular grinders. Keep reading and we’ll tell all. But first we’ll discuss why fresh grind is the better option for serious coffee lovers. 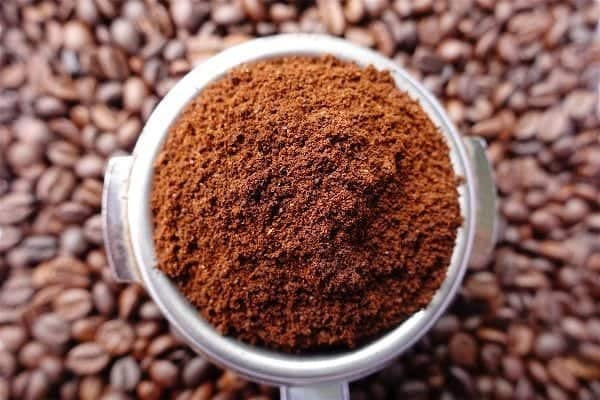 Here’s the most important reason you should consider using freshly ground coffee: Coffee beans can become stale. This process starts the moment you open that bag of coffee beans. It’s a slow process but you should try everything in your power to keep the flavors in the beans. If you taste coffee brewed from freshly ground beans versus a batch of which the grinds weren’t used immediately you’ll taste the difference. Now imagine the effect on pre ground coffee such as the ones you purchase where it’s exposed to the elements for long periods. Yes, those nifty bags are supposed to keep them fresh but it’s guaranteed the factors listed below will still affect your brew. Do you realize making coffee is actually a scientific, chemical process? You need to extract the flavors by activating certain compounds. Unfortunately these chemical reactions can take place even when you don’t intend them to. When coffee is ground up there’s a bigger chance that it will react with oxygen in the air than when it’s in bean format. This is because so much of the bean gets exposed to the elements. The longer you take before brewing the grounds the more oxidation will take place. This is when air molecules and the coffee compounds create new types of molecules that alter flavors & cause flavors to escape into the air. While some oxidation is good — it kickstarts the release of flavors so they’re absorbed into the brew — too much oxidation is wasteful of flavour. Here’s the other problem with exposing your grind to air for too long: Air also contains water molecules that will react with the coffee’s compounds. Of course this happens with beans too but coffee grinds expose more surface area to air so the process is hastened along. The water soluble oils will dissolve and disappear from the grind instead of being enjoyed in your brew. Heres a component that not only ensures great flavour but even that crema you love on top of your espresso: CO2. As mentioned before grinding up beans enlarges the area exposed to the air and the precious CO2 will escape. If you didn’t know these molecules play vital roles in creating amazing aromas. You don’t want to lose these. Have you found enough reason to pursue using freshly ground coffee? We have a few more you should look at. Why can’t this aspect of coffee making be ignored? Because coffee making requires such precision and one small feature can affect how much you enjoy your next cup. Do you want your coffee to taste like the beans you purchased or resemble the food you’re cooking? You have to make sure other kitchen smells don’t draw into them. Because coffee oils are so delicate this easily happens and even more so when beans are ground up. The moment you start delving into methods of brewing coffee you realize the importance of using the correct grind size. The finer they are the easier it is for the water to extract the bean’s flavors. The size affects how tightly you can pack them in a portafilter. This density affects the flavors and whether the brew that comes out the spout contains those flavors consistently or only for a brief moment. Each type of brew — espresso, cappuccino etc — tastes best when made with just the right size grind. If you’re using pre ground coffee you have no control over these factors. You may be able to make them finer but re-grinding coffee isn’t always effective. If you love using a French press you need big enough granules so they won’t move through the filter when pushed down. You need fine grind if you’re an espresso lover because you want the water to push through the puck at just the right speed. If coarse grounds create a loose puck it will rush through without any flavor extracted from the granules. Drip coffee makers require medium fine granules because of the type of filters they have inside. You may also want to customize your brew by adjusting the grind size and comparing the flavors of different brews. The finer the grind you use the less time is needed to extract flavors because such a large surface area of the coffee beans is exposed to the water. Now how will you manage these situations if you purchase pre ground coffee and you have no control over the coarseness? Beans are always in the process of becoming stale but you have some control over it. This process will be quickened if you grind up the beans because a larger surface area is exposed to the air. You don’t drink coffee only for the caffeine. You want those tantalizing aromatic flavors in each brew. That won’t happen if you use pre ground coffee because one by one the flavors will disappear as it reacts to the air. You also shouldn’t allow other flavors—such as the ones traveling through the air when you’re cooking dinner—to enter your grind. In bean form there is some protection against this. Based on all the science we’ve mentioned and the preferences of your taste buds it becomes clear it’s vital to use fresh ground coffee whenever you can. So should you always work at super speed when brewing coffee? Let’s look at some helpful timelines. With so much talk about conserving aromas you may think the optimum brew will come from beans that just came out of the roasting process. Coffee beans actually need to rest after they’re roasted. The ideal time is one to two days although it can take up to four days. 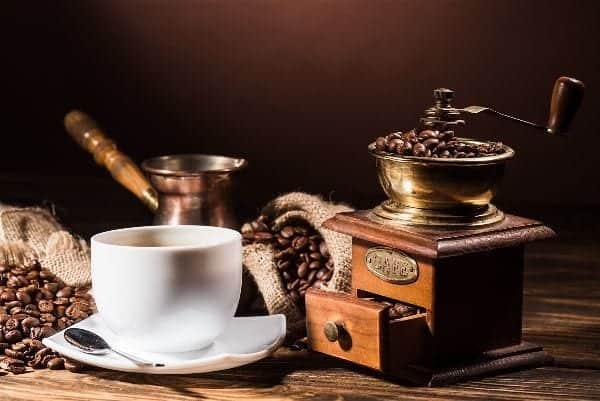 This is the time where the body of the coffee develops as coffee aromas develop to start replacing the burnt flavor that roasting inevitably creates. The unique tones of different beans come to the fore. When they’re enhanced so you’ll be able to distinguish your favorite beans from others easily. Much of this relates to the CO2 and nitrogen levels that need to adjust to get the best out of the brew. You don’t want your coffee to taste too metallic. With 48 hours being the optimum resting time it should never be as long as a week. It will then start the degradation process we’ve already covered. All of this information is not to turn your coffee brewing into a tense process. Don’t feel pressured by each second passing by after you ground those beans. While the degradation process will start from the moment the coffee is ground and exposed to air you’re bound to see—taste—its effect only after a few hours.  It may taste mellower compared to a cup you brewed within minutes of grinding. This process will continue to minimize the fruit related flavors after about one day and within days the flavor will become very dull. So here’s an important question: Can you prevent this from happening? 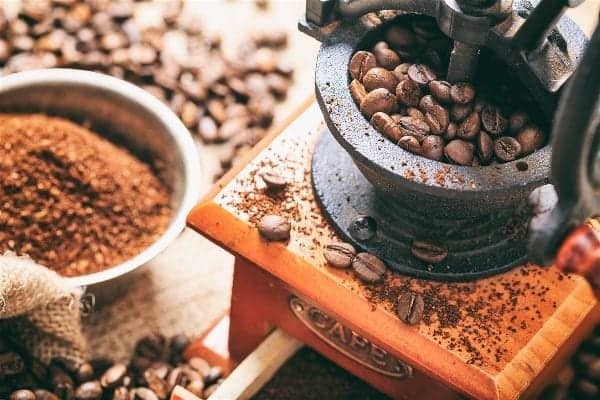 You’ve heard the value of freshly ground coffee but chances are you’ll often have a bit of the grinds left over after brewing. Is it a lost cause or can you store these in a way that will preserve at least some of the flavour? You need a dry place to limit exposure to moisture so make sure the container is air tight. This will also minimize oxidation. Light will affect grounds because light is usually associated with heat. Prevent light from reaching the grinds by either placing containers in a dark space such as a cupboard or in opaque containers. The grinds should not heat up as this will initiate reactions. Don’t use counter areas or cupboard space near the stove or where sunlight will fall on the container. Contrary to common belief you should not place the grounds in your freezer. This may be cool but it’s also moist and filled with too many smells. You should realize with all these chemical reactions that happen automatically your grind will never stay fresh for long. Whole beans may keep for up to a month if stored correctly but the moment you grind them this timeline is halved. You can expect your coffee to taste much less refined after only two weeks. If you’re already a coffee aficionado fresh ground coffee is the only way to go now. It’s how you’ll get those flavorful brews you dream of. And if you’re only starting to discover the wonders of coffee this could be the key. Don’t waste time on mediocre tastes. Go for gold from the start and ensure your coffee journey is filled with flavor from here on forward. Are you ready to grind those beans? Wait. Not everyone has a grinder at home but there are many ways of grinding coffee. Share your original methods in the comments so we can help each other get the most out of future brews.